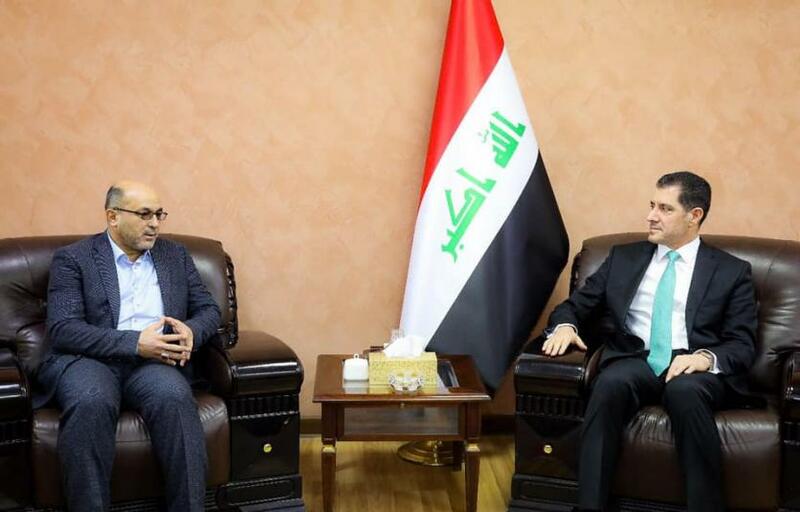 The Minister of Planning, Dr. Nouri Sabah al-Dulaimi, received on Monday the Governor of Baghdad, Mr. Falah al-Jazairi, and the delegation accompanying him. During the meeting, he discussed the reality of the service capital and ways to provide the best services to the citizens. Dr. Nuri al-Dulaimi announced the allocation of 946 billion dinars to improve the reality of the capital services, confirming the ratification of 473 of them within the allocations of development regions, and that the transfer of the remainder from other parties later this year. The Minister discussed with the delegation of the province of Baghdad the most outstanding projects suspended, especially the advanced completion rates, such as sewage projects in the areas of Abu Ghraib and seven wells and the Wahda district, calling on local governments to accelerate the submission of their annual plans for approval, To the importance of taking into account the equitable distribution in the implementation of projects, for all districts and provinces, and commensurate with the priority of each project and its importance. For his part, the governor of Baghdad and his delegation expressed their appreciation for the directions of the Minister of Planning, stressing the need for the province to many efforts and assignments to complete projects, especially in the districts and districts and parties, which has been a significant decline in services.